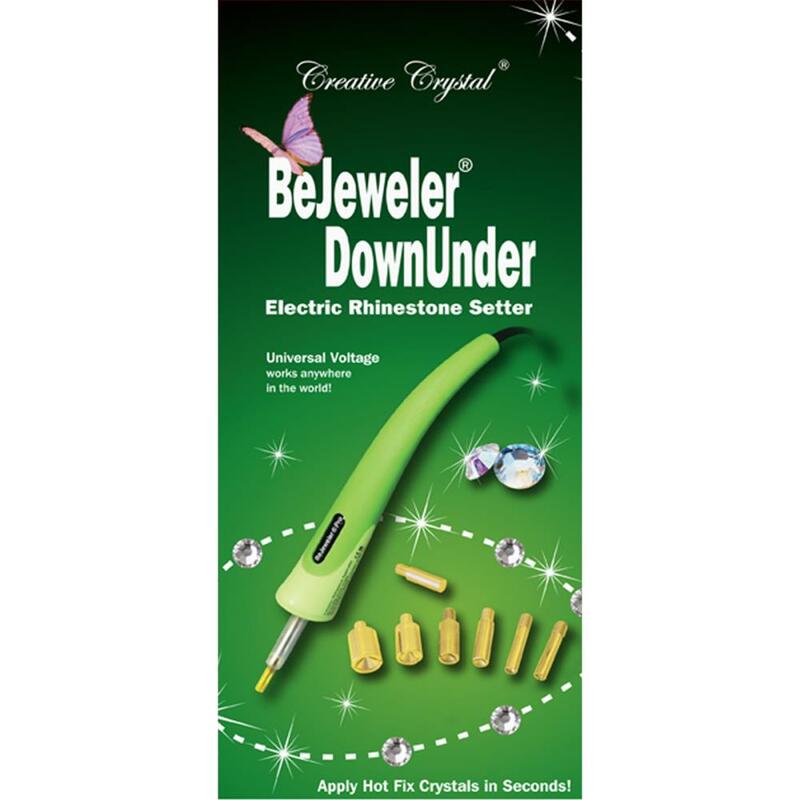 BeJeweler is the original electric rhinestone applicator developed for Swarovski. 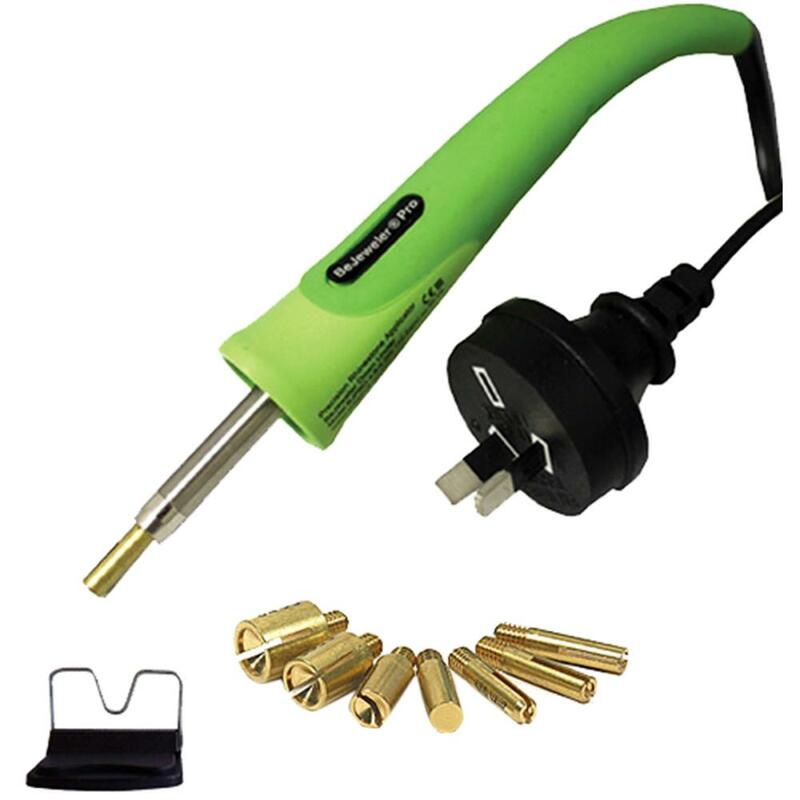 This design patented tool features a soft, flexible handle that maximizes productivity while preventing operator fatigue and discomfort. Swarovski hot fix crystals have a heat sensitive backing. 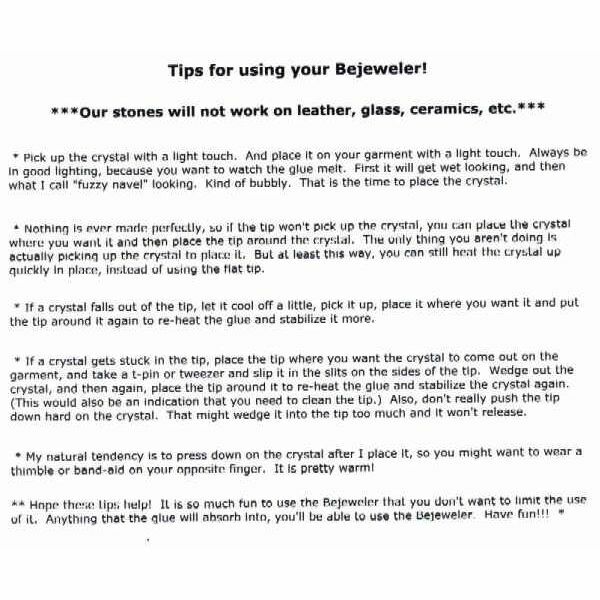 The BeJeweler picks up each rhinestone, melts the glue and places it exactly where you want it. 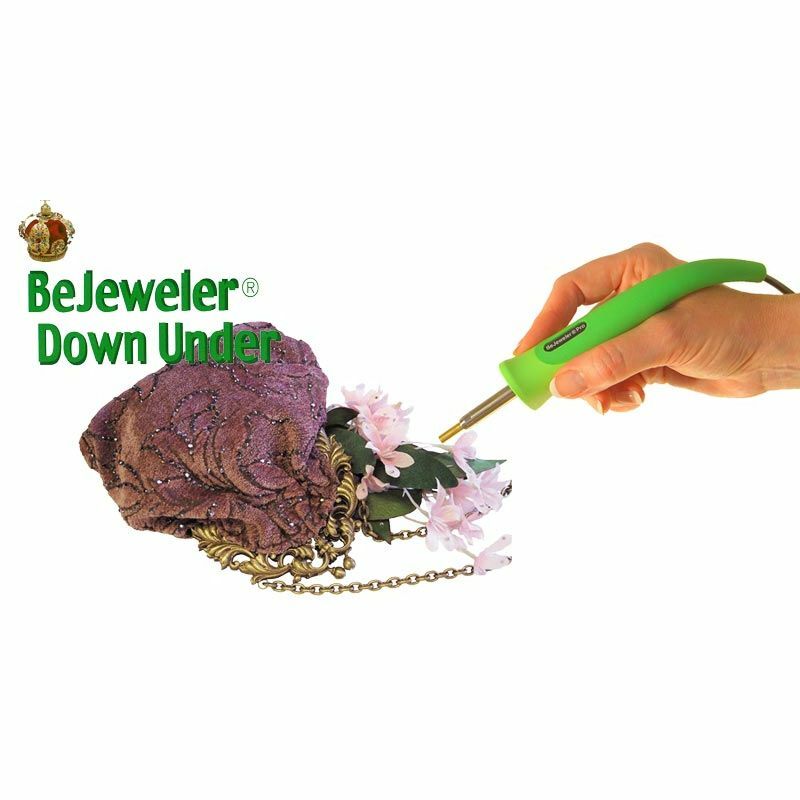 This provides the best possible adhesion. Design patented soft handle maximizes productivity while preventing operator fatigue and discomfort. 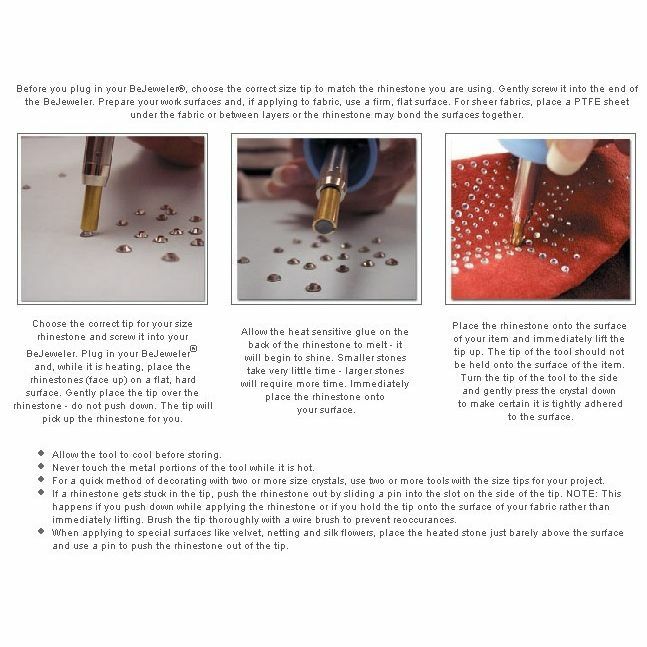 Hot Spot tip for applying all other size / shape hot fix embellishments. 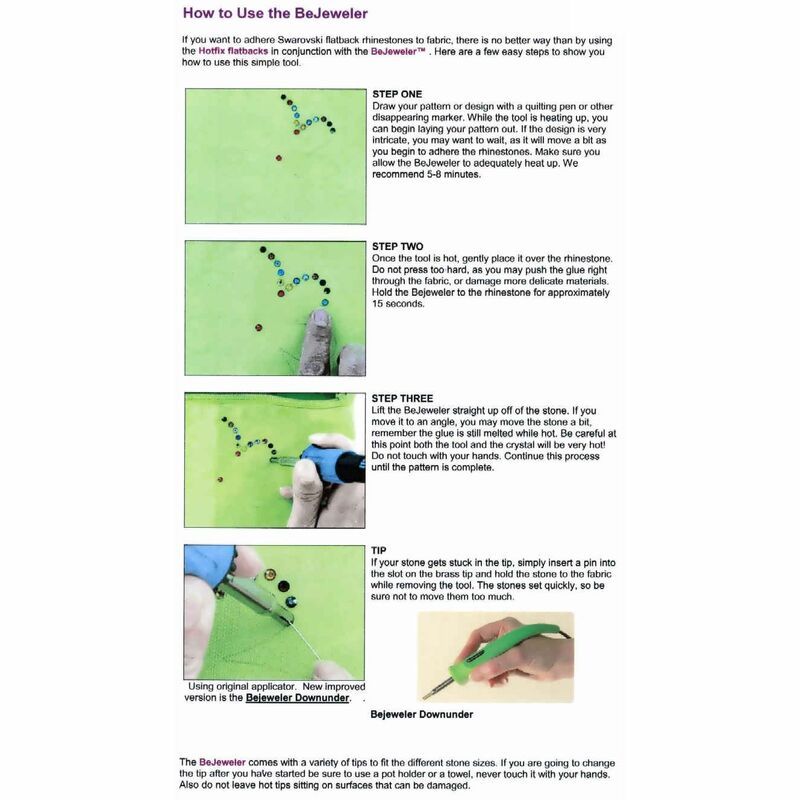 This is very useful if you have laid out a design already on fabric. 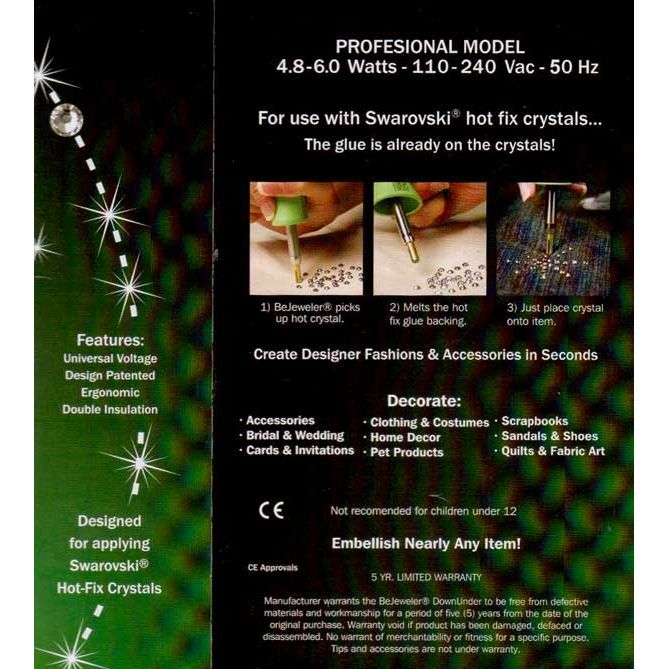 The Hot Spot can simply be pressed on the top of the crystals and it will heat the glue fixing the crystals without picking them up. Jeans, shirts, dresses - even velvet, spandex and fur! Costumes for theater, dance and ice skating. Sunglasses, cell phones, PDAs (some items may require topical glue (see cell phone instructions for details). Purses, belts, hats, shoes, etc. paintings, towels, coasters, pillows and more! Hair bows, ribbons and clips. Holiday ornaments, greeting cards, gift boxes.